Inscribed on verso of mount in graphite, "131 / de Gregorio Schiavone?". Selected references: Rinaldi 2014, 27-28, 49, no. B13-o (as Girolamo Genga). 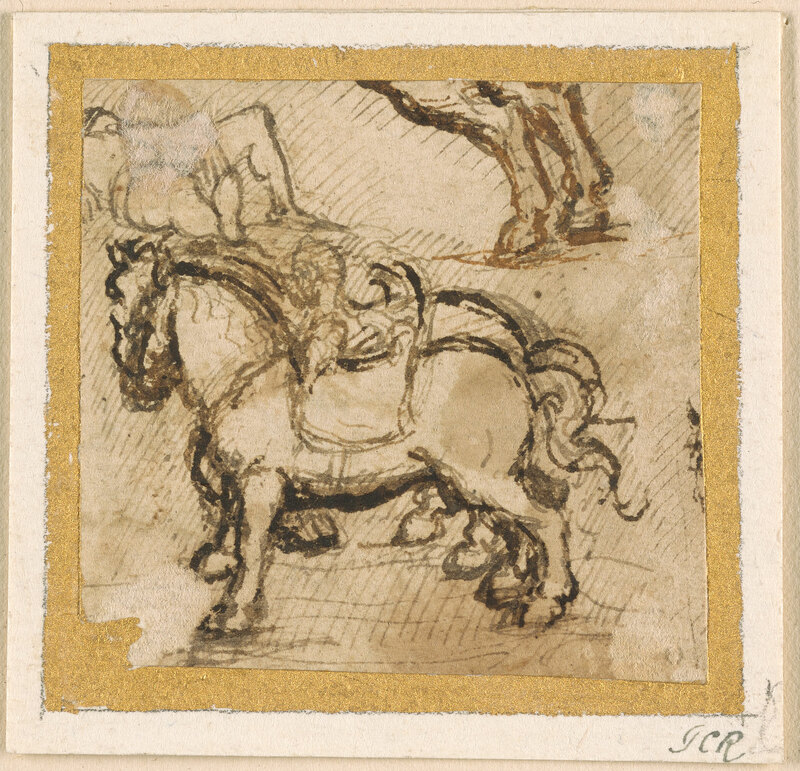 One of 11 drawings on one mount, by same hand; some may have been cut from a single sheet.